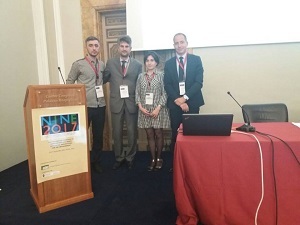 2nd International Conference on Nanotechnology based on applications for the environment-NINE2017 took place in Rome, Italy on September 24-27, 2017. 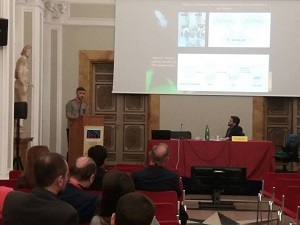 The Conference was organized by the Association of Chemical Engineering (AIDIC) in collaboration with the Department of Chemical Materials Environmental Engineering (DICMA) of Sapienza, University of Rome. 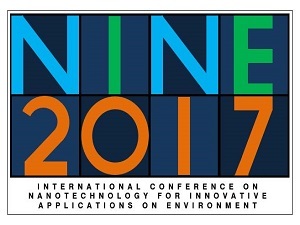 NINE 2017 aims at presenting the recent scientific and technical advances in the field of nanotechnology, application to the environment protection, including characterization, monitoring, remediation of contaminated sites, and treatment of water, wastewater and residues. 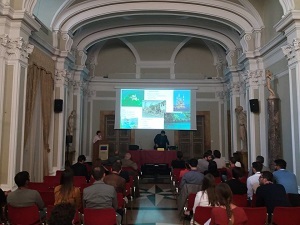 From the BSU side junior researchers of the Nano-research laboratory Habiba Shirinova and Kanan Huseynov participated in this conference for oral presentation. Members of BSU were successfully presentate the topic and answer all questions. Overall, more than 80 scientific papers were presented as oral or posterior contributions and 17 of them were by foreign authors. All the accepted papers, as oral or posterior contribution, will be published on Chemical Engineering Transactions. The Journal is valued by ISBN & ISSN numbers, and referenced by SCOPUS and THOMSON REUTERS citation index (ISI Web of Knowledge) .Also there are 5 articles with co-authors of BSU staff will published in this journal. Notice that, The supervisors of several PhD students of Baku State University have 2 supervisors, one of them is from Italy.